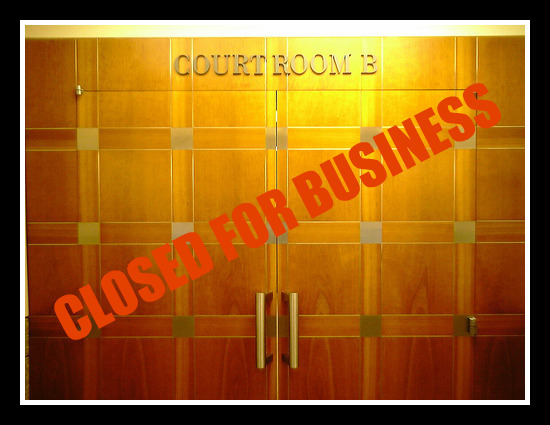 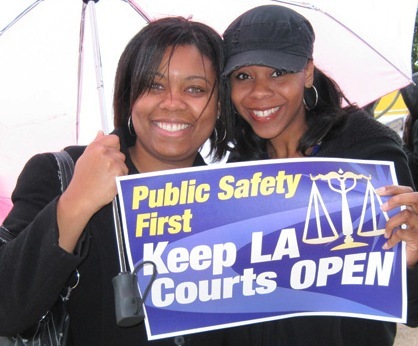 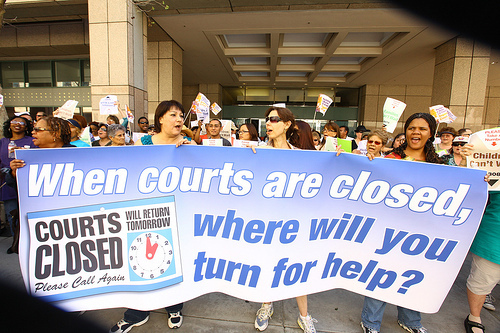 Los Angeles Superior Court’s closure of 21 of its 26 courtrooms for eviction hearings illegally “shuts the courthouse doors on many of the county’s most vulnerable residents” community organizers claim in a federal lawsuit, which CES is a plaintiff in. 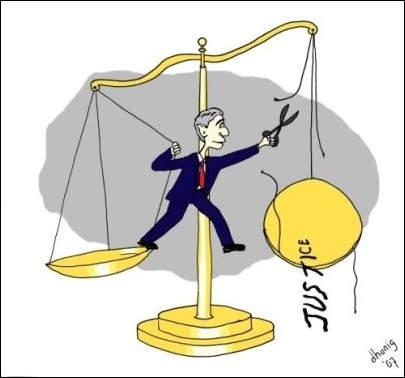 The lawsuit claims the state’s response to its judicial funding crisis violated the Fair Housing Act, Section 504 of the Rehabilitation Act, the Americans With Disabilities Act, and the First and 14th Amendments. 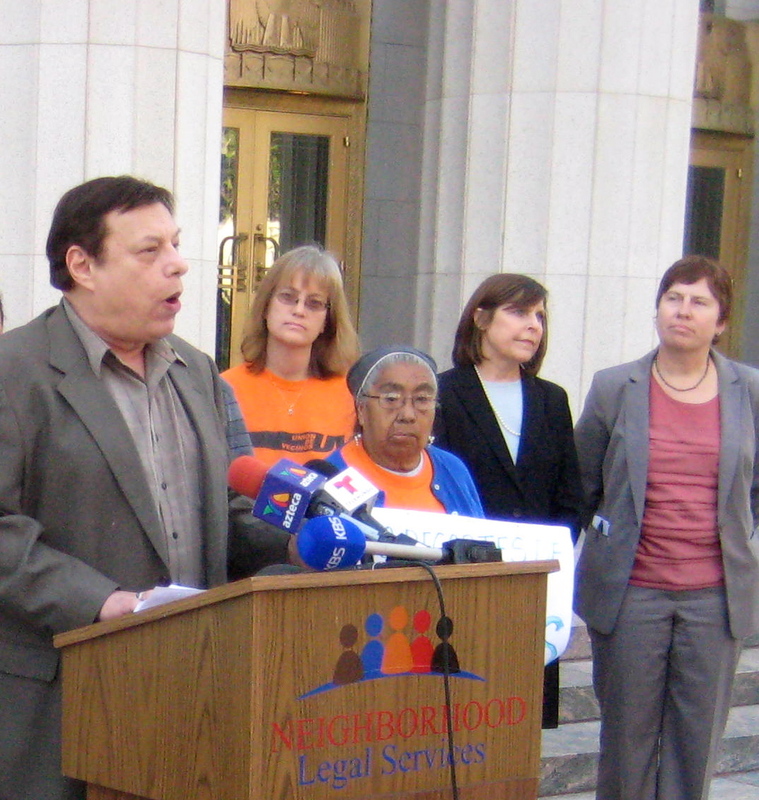 Joined by other organization plaintiffs and legal service organization attorneys, Gross further said that landlord will have greater incentives to now evict tenants even if there is no basis or legal justification, because chances become high that many of these tenants won’t respond to the eviction notice or will not show up for the hearing, because they have no way to get to court, thus will default and lose there eviction case.